William Shakespeare once wrote… “good company, good wine, and good welcome…can make good people”. 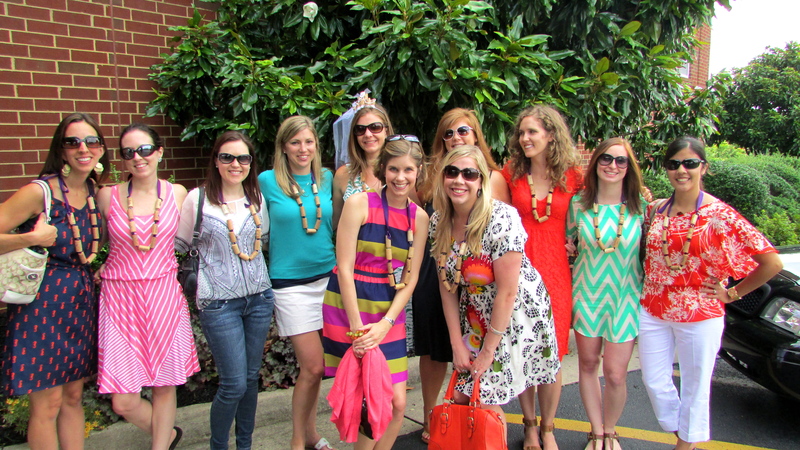 Wine can not only help make good people, it also happens to make bridal showers and bachelorette parties colorful, festive and just plain fun! 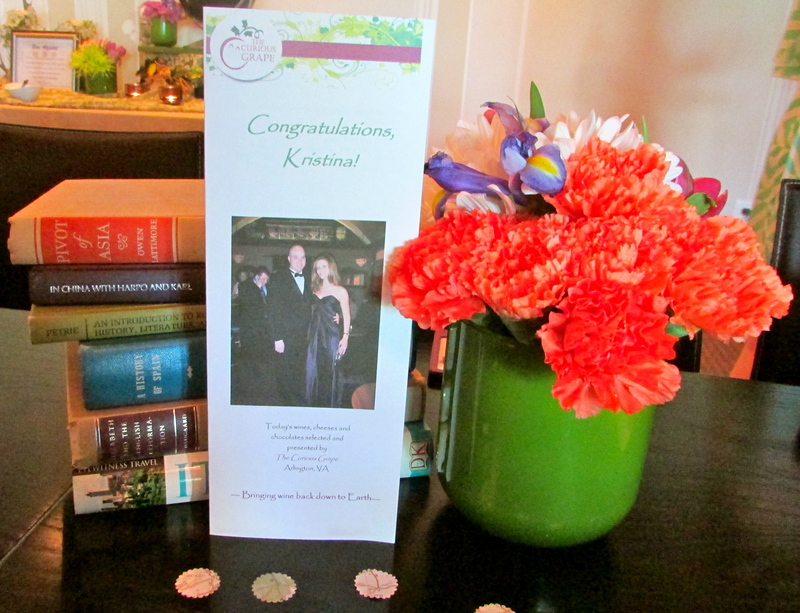 I recently had the pleasure of serving as the MOH for my best friend’s wedding in Charlevoix, Michigan and when it came time to plan the bride’s pre-wedding festivities the Bridesmaids (aka Kristen, Aimee and I) were inspired by Kristina’s love for vino. 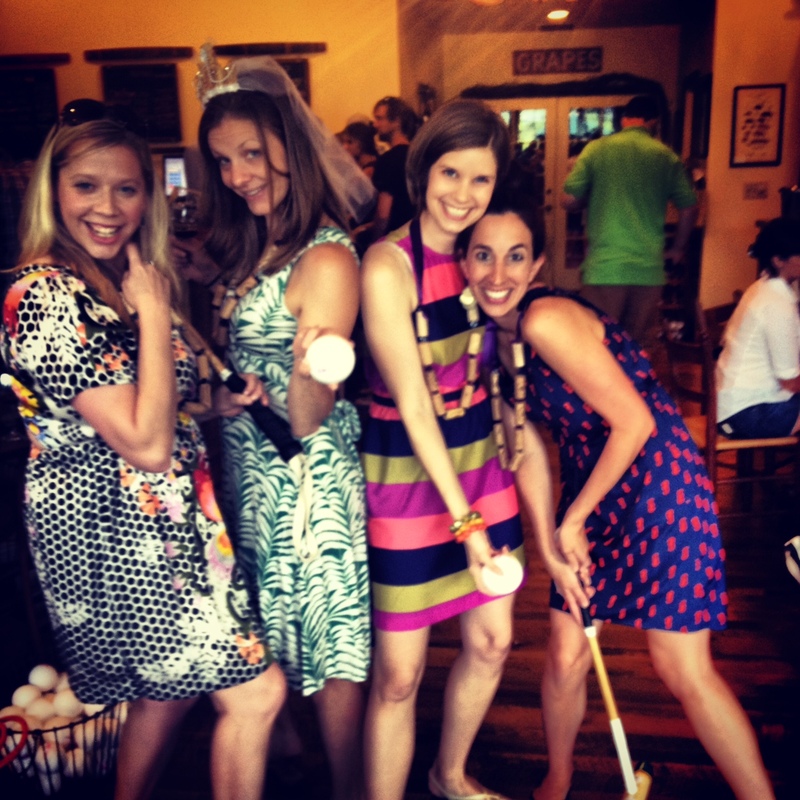 Here are some of our highlights and ideas for your next wine themed events. 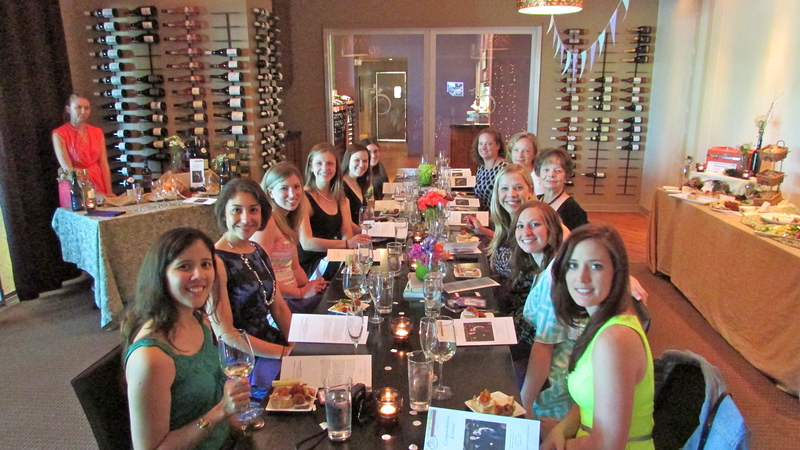 Together with Kristina’s Mother & Aunt, we hosted guests at the Curious Grape in Arlington, VA for a travel themed, wine tasting shower. 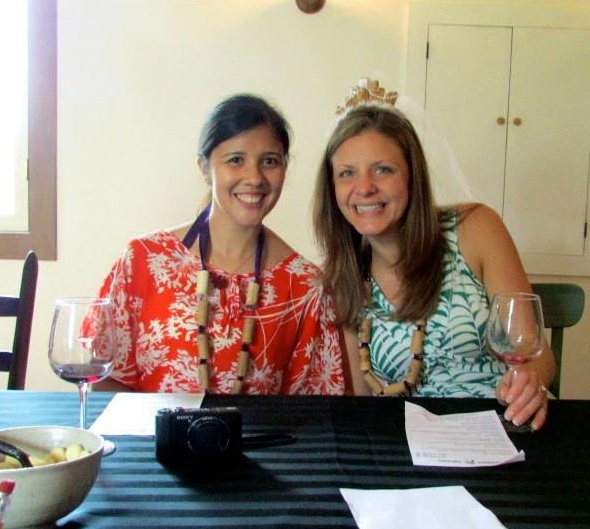 We carefully crafted a unique menu & wine tasting that reflected 6 cities or regions that the bride has adventured to including Spain, New Zealand and California. The Curious Grape even found an excellent Pinot Grigio from Michigan to share with us. 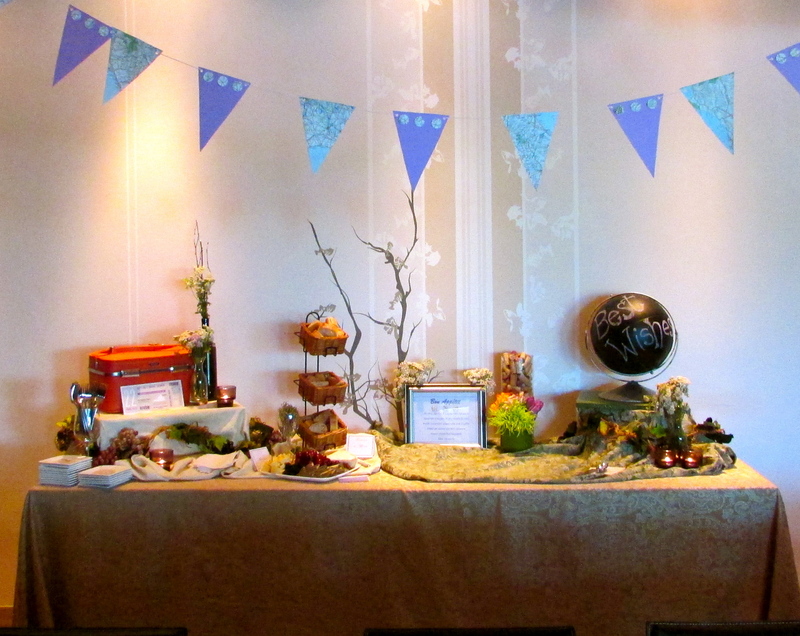 The travel theme influenced our DIY decor projects, floral arrangements and the vintage travel books that we used to spice up the private dining room. 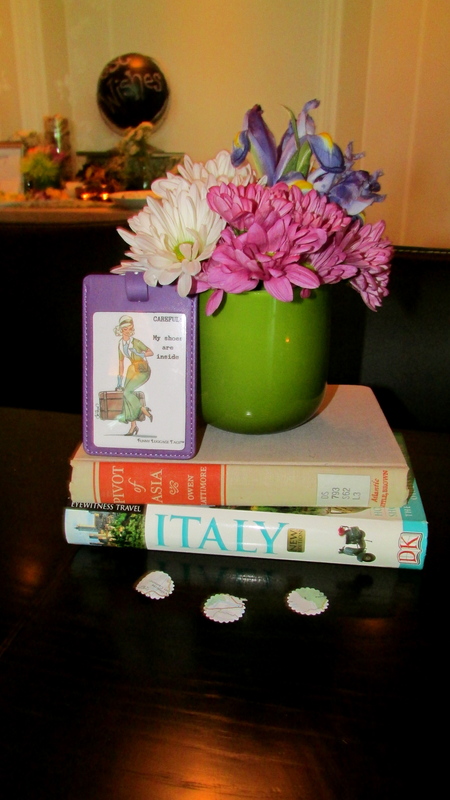 A special thank you goes out to Paper Talk Press (Etsy) for their customized boarding pass invitation that they designed especially for the occasion and to Funny Luggage Tags (Etsy) for supplying the adorable, purple luggage tags that all our guests left with as their favor. As far as DIY projects go… with the help of the ever amazing Papersource and a few European travel maps, we crafted 2 pennant banners and map confetti to sprinkle on the table. Chalkboard paint and my family’s old globe made for a perfect way to spread “Best Wishes” at the shower (See our final result below). What do you think? 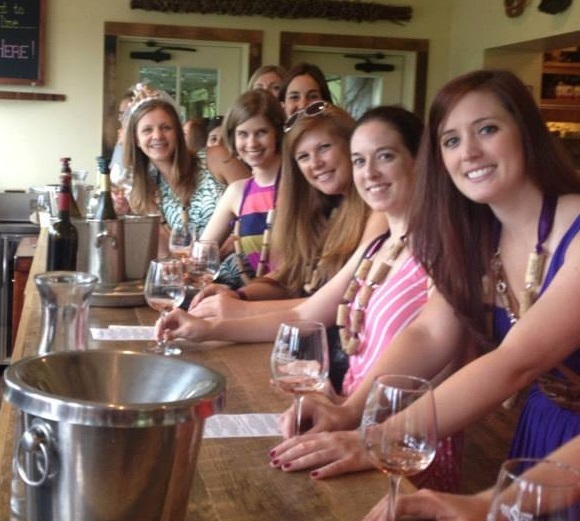 The Wine adventure continued during the Bachelorette weekend, when the bride-to-be and 15 friends boarded a limo bus and ventured into Virginia’s beautiful wine country. We travelled and tasted at 3 excellent wineries, including Dave Matthew’s Blenheim Vineyards. Kristen, my fellow bridesmaid, packed a delicious picnic lunch of specialty cheese, fruit, meats and salads that everyone enjoyed while they took in the beautiful outdoor landscapes. 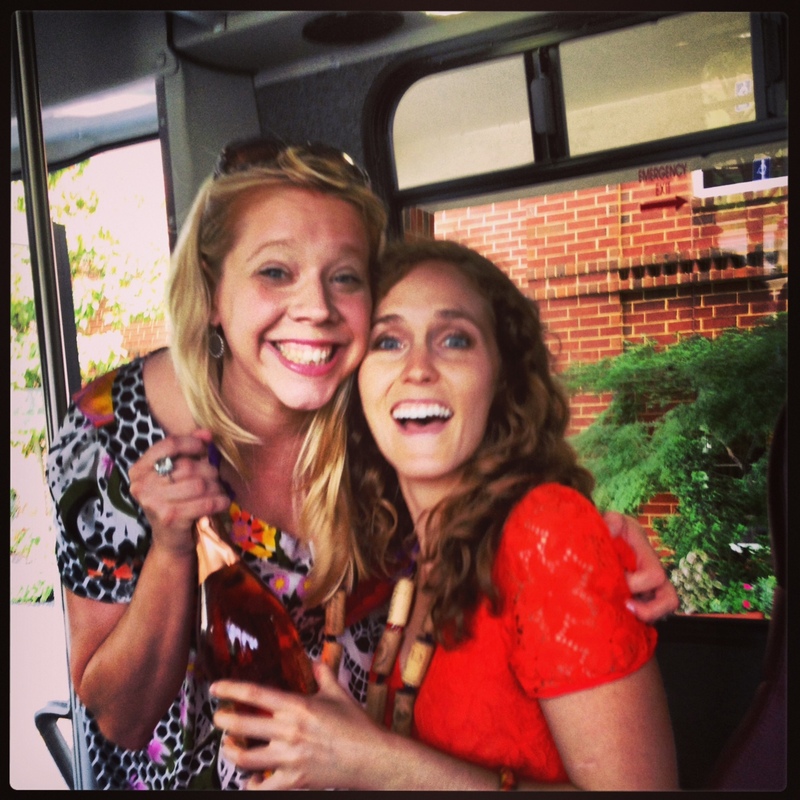 Aimee and I helped to pop open the Champagne! 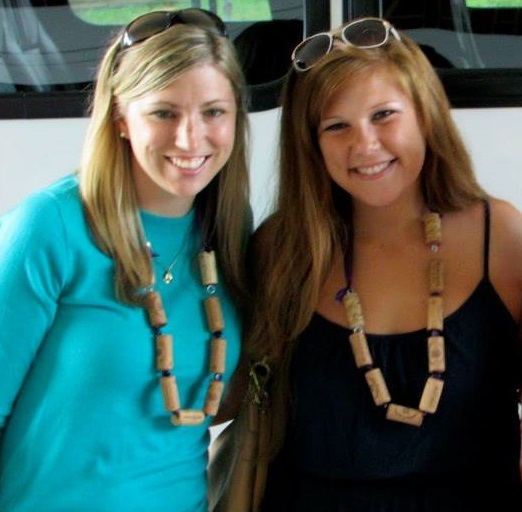 Kristen also distributed handmade wine cork necklaces for all the ladies to model throughout the day. 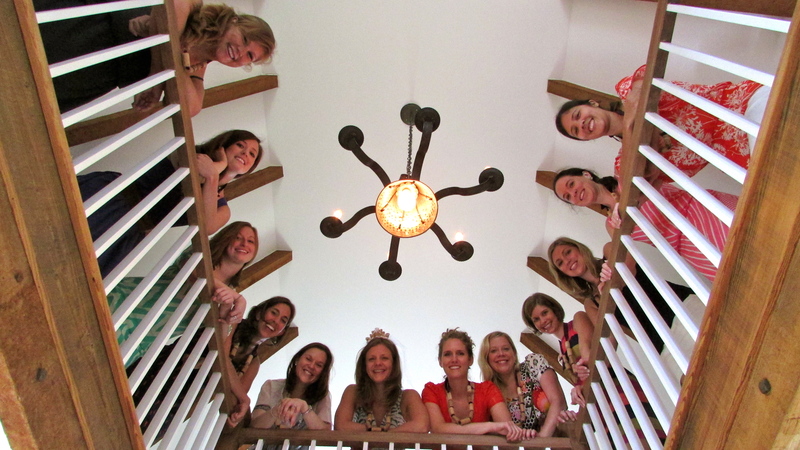 The bride even wore a wine cork tiara crafted by her mother.The day was filled with laughter, excellent red wines, croquet (don’t ask) and lots of toasts for the beautiful bride to be! So let’s face it ladies…I think we can all agree that wine had us at Merlot! Posted in Jubilee, Roadtrips & Passports, Something BlueTagged bachelorette, bachelorette parties, Blenheim Vineyards, Bridal Showers, bride, bridesmaids, decorating, events, Funny Luggage Tags, Merlot, Paper Talk Press, Papersource, Pinot Grigio, shower invitations, The Curious Grape, wedding, Wine corks, WineryBookmark the permalink.